if you had a clear direction and purpose with your mediumship. Are you ready to be the Medium you want to be? spiritually motivated and passionate about helping others. you are seeking to develop and/or deepen within you, your connection to Spirit and take your Mediumship to new horizons. and I know you need the support and guidance of someone who’s walked before you to get there but your not sure who to trust. is mediumship really for everyone? I am proof that you do not have to have psychic abilities as a child to become a psychic. It is not just for the “gifted”. Anyone can learn to increase their intuition and insight. Through psychic training you won’t need to keep turning back to a psychic. Once you are able to tap into your own intuition and wisdom as your internal compass you can stop getting readings and help yourself. You don’t need to search any more. Being stuck often resolves itself when you take that next step following your guidance. a safe haven where you will feel supported not judged. Consultations are conducted via Phone or Skype. We’ll delve into the purpose and meaning behind what is occurring for you right now and the challenges you are facing. 2 monthly live zoom group coaching sessions with real hands on experience. Daytime and evening to cater for most time zones. Access to video training programs coaching you on Mediumship and spiritual development topics. Meditations, Ready references and other downloads all designed to support your learning. Daily, personal support from Kerrie via an exclusive member only private Facebook group. I have been blessed to be part of Kerrie’s mentorship program since Feb 2014 and I haven’t looked back, going from strength to strength. She has the unique ability to connect on a soul level that helps you develop your skills from a soul level that enhances and magnifies your vibration and mentors you till your working at the best you can be. 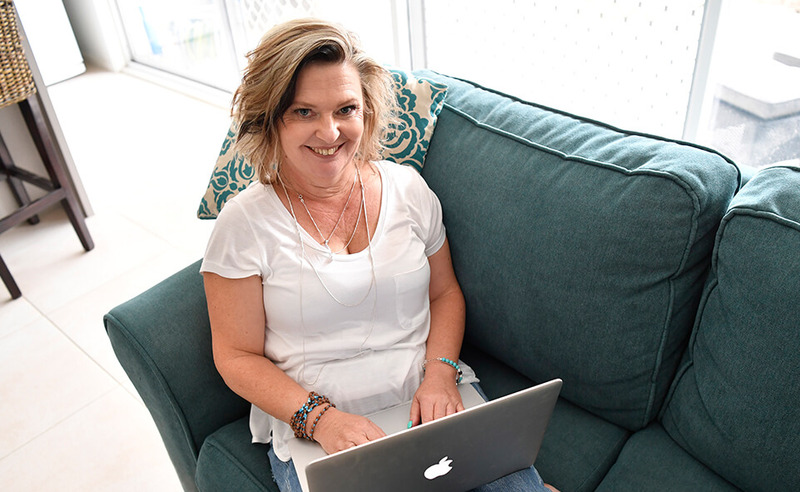 She has the amazing ability to help calm your nerves and to show you how to work with confidence, providing you with a sound foundation in which to work from. My new found confidence and trust, not only in myself but also Spirit comes down to Kerrie and the way she teaches. Will the Live classes suit my schedule? Can I cease my membership at anytime? Yes you can. You can stop your monthly subscription anytime via your paypal account or you can simply email us and organise that for you, no questions asked. Classes are currently held via Zoom in our private meeting, which allows us face to face video time for a more personal interaction. Do classes run to a strict curriculum? The short answer is No. Classes are inspired by Spirit, incorporating the need of the group gathered and allowing the flow of all involved. Of course the overall intention is one of helping you achieve your goals and expanding your spirituality and mediumship. You taught me more in the time i spent under your guidance than I learn’t in the previous 15 years. You taught me to trust my intuition, pushed my boundaries, and in general helped me to be a better person. Walk this new path with confidence. You help, guide and inspired me to find myself and my connections….you were my first guiding light into the spiritual world and i am forever greatful for all you taught me, i am positive that if i did not find you and do your classes i wouldn’t be here today and able to continue my growth, i thank you and hope you have a wonderful mothers day with your family. Be the Medium you want to be!